For reasons I haven’t quite figured out, my kids have winter break this week–right smack in the middle of our work busy seasons and two weeks after my school enjoyed winter break. We also love being outside, and we’re not exactly in the warmest part of the country (not to mention we’ve had no snow for skiing, sledding or tubing). It took a lot of research, but what we came up with couldn’t have been better. We managed to find the warmest outdoor (or nearly so) spot in a three-hour radius and planned the rest of the trip from there. Our destination was Cave of the Mounds, 3 hours from Chicago, just west of Madison, Wi. At a balmy 51 degrees underground, it’s no wonder we had to make reservations. I can’t say this part of the trip was cheap, but for an hour-long tour that our big kids will remember forever, it was money well spent. 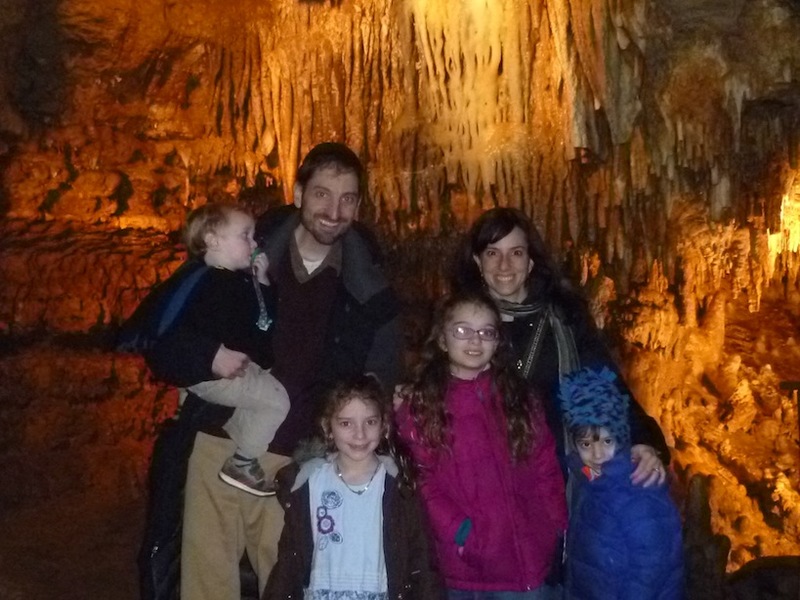 The caves were fabulous, and the guides were engaging enough to hold my 5-year-old’s interest. Granola Baby didn’t love his underground hike, but he managed. 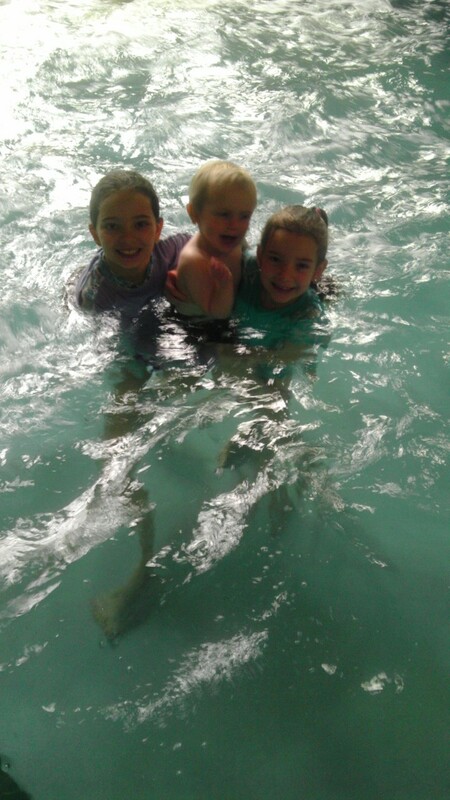 Near the caves in Madison, we found a Holiday Inn that featured a younger kids’ water park. We’ve been to plenty water parks, which my kids love, but between you and me, I’d be happy never visiting one again. This one, though, couldn’t have been more perfect. The pool was big enough to keep my kids entertained for hours and small enough that most parents didn’t even have to get in the water. 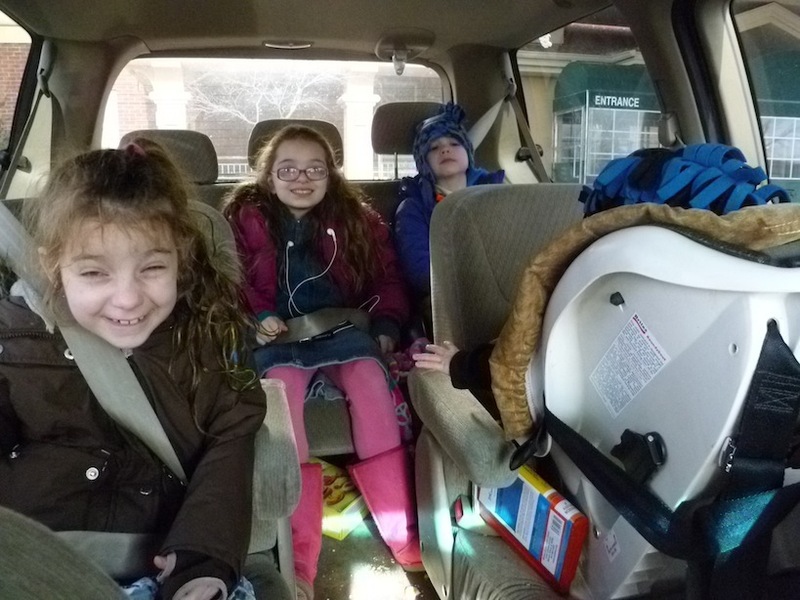 And unlike similar facilities we’ve visited, it was warm enough–even when the outside temperature was below zero–that my kids were never once shivering. Our suite featured two queen beds and a pull out couch, with a balcony overlooking the pool. Best part? All this for $109 on Priceline. No joke. Had we had more time, we would have stopped at the nearby New Glarus brewery for a tour, and Madison itself offers tons for families–especially Granola families. Guess there’s always next year. Unless, of course, our kids’ school changes the date of winter break–in which case, you might just find us down south in the sun.